One to one Piano and Keyboard lessons take place in our dedicated teaching studios in Thurcroft, Rotherham. You can book 30 or 60 minute 1 to 1 lessons. Whatever your age or ability, our Piano and keyboard lessons are for you. 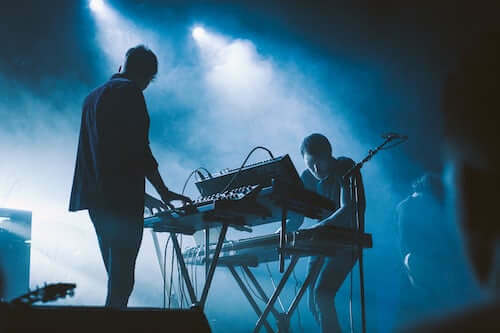 Our Studio has all the equipment you need, electric Piano, Keyboard, PA and even an electric Organ, for use in your lessons, enabling you to progress quickly, play along to tracks and get the most out of your lessons. Our Teachers are all ‘in demand’ musicians within the music business. They are experts in their field and love sharing their experience, knowledge and passion with our students. Playing Piano or Keyboard is a very creative and fulfilling skill to achieve. We will help you develop the ability to express your musical ideas on these wonderful instruments. In your lessons you learn all aspects of playing the Piano and Keyboard including, harmony, aural skills, hand technique, chord structures and much more! Lessons will be structured to your personal musical goals. For those of you who want to gain qualifications, we offer accredited grades. Students who pass grades 6 to 8, earn UCAS points, which have helped many of our students gain access to their chosen university. In addition to our 1 to 1 lessons, you can join our ‘City School of Rock’, classes where you can experience the joy of playing in a band with other musicians from our music school. ‘Preparing you for the worldwide stage’! Our mission is to help all of you reach your full potential and enable you to become the piano and keyboard player you want to be.